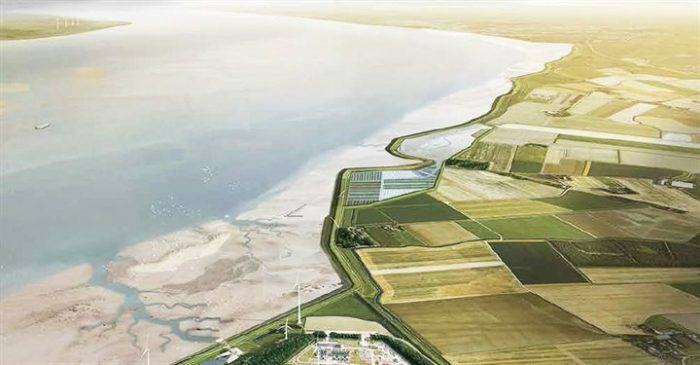 The Double Dike pilot project was developed as an alternative to the standard dike reinforcement between Eemshaven and Delfzijl. The dike no longer complies with safety standards due to earthquakes, soil subsidence and rising sea levels. Double Dike combines safety with nature, recreation and innovative agriculture. The project takes advantage of the opportunity to create cost-effective operational management of saline agriculture and aquaculture (see also Agriculture and food).